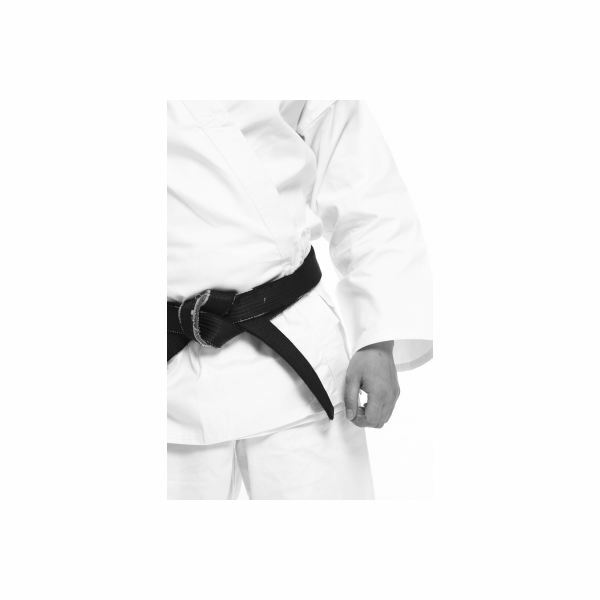 Tae Kwon Do is a Korean term, which means "the way of the foot and fist". The name Tae Kwon Do isn't that old, dating back to just 1955. The martial art itself dates back approximately 2,300 years when the art was not just a sport, but a way of life. The practice includes sparring, board breaking, exercise, stretching, meditation and more. Competitions in the Olympics began in the year 2000. Korea was founded as a country in the year 2333 B.C. when the name of the country was Ko Chosun. The art of Tae Kwon Do as we know it today was systemized by General Choi Hong Hi in the mid-1900s. The country was separated into three states known as Chinhan, Puyo and Chosun. The ancient Koreans played sports with spears and knives, along with swimming, kicking and punching. The leaders of those three states had to master these martial arts to show their strength and knowledge. In 320 A.D. the leader of Paekche had a martial arts training center built where he held tournaments once a month during the full moon. These tournaments included hand-to-hand combat, riding and fights with sticks. The competitors trained there and received their education there. Chinghung Wang, the King of Silla formed the Military Order of Hwa Rang, which included archery, riding, fencing, the art of hand fighting (called Subak) and the art of foot fighting (called Taek Kyon). Hwa Rang had Five Orders that included loyalty, devotion, honesty, strength and justice. These orders morphed Tae Kwon Do of the time into Hwa Rang, which means "The Way of the Flower of Mastery". This helped the country unite the three separate states into one, which was known as the United Silla. In 935 the state of Koryo was founded, which was later turned into the name Korea. There were many wars in this time. Martial arts became even more popular and important. From the years 1147-1170, the ruler Uijong put together numerous military Subak competitions. There was a festival called the Festivals of O-Dan where there were many Subak contests. Different dynasties of that time used different names for the martial art, either Subak or Taek Kyon. In Koryo the art was used only by the military, but in the Chosun dynasty nearly everyone practiced it. In 1790 Li Dok Moo was ordered by King Chongjo to write the Martial Art Treatise, which was named "Muye Dobo Tongji". Subak, Sirum (Korean wrestling) and Te Kion are all explained within the book, which are all early forms of Tae Kwon Do. The King during the years 1401 to 1408 found the masters of this martial art and had them train the Korean military soldiers. The Li Dynasty from 1832 to 1910, made practicing martial arts illegal, although it was still practiced in secret by some. The masters were prosecuted. In 1910 Japan overruled Korea and martial arts were completely banned. Only an elite few were still allowed to practice Judo, Kum Do, Karate and Aiki Djutsu. After World War II Korea was liberated and martial arts flourished in the military and among civilians. On April 11, 1955, General Choi Hong Hi named the Korean martial art Tae Kwon Do. March 22, 1966 – The International Taekwondo Federation was founded. Members included Korea, Malaysia, Vietnam, The United States, Singapore, Egypt, Turkey, Italy and the Federal Republic of Germany. May 28, 1973 – The World Taekwondo Federation was founded with the first world competition in South Korea. July 17, 1980 – The International Olympic Committee granted the World Taekwondo Federation recognition. September 17, 1988 – The Olympics in Seoul held Taekwondo as a demonstration sport with 192 competitors. July 30, 1992 – The Olympics in Barcelona held Taekwondo demonstrations. September 4, 1994 – Tae Kwon Do is granted a competitive sport in the Sydney Olympics.